The Rubik's Cube is a 3D mechanical puzzle invented in 1974 by Hungarian sculptor and professor of architecture Ern? 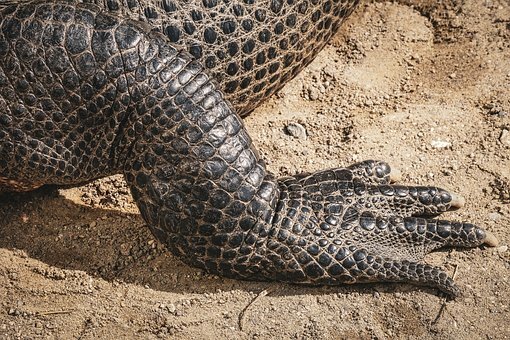 Rubik. 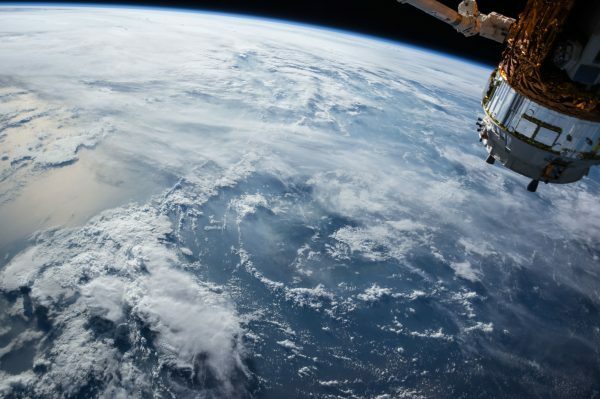 Originally, it was called the "Magic Cube". Meet 12 of the most creative objects inspired by the famous cube. 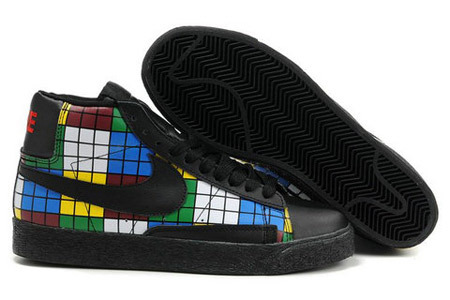 Inspired by the Rubik's Cube, Nike has produced the Rubik's Cube Nike Blazer. The Blazer has an upper which features completed lines on the Rubik's Cube in all the colors you would find on the puzzle such as red, white, blue, yellow and green. 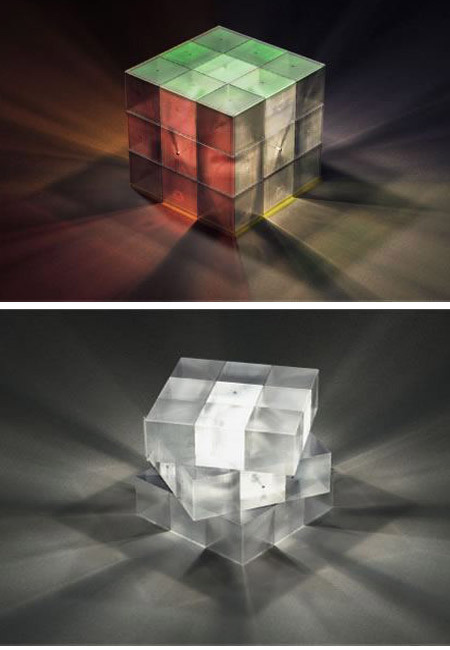 Rubik's Cube Light Lamp is a Fun Gadget remake of the infamous Rubik's Cube we all grew up on. Created by Eric Pautz, this is another variation to add to the many before that grants additional utility with the light it shines from the many colorful patterns created. 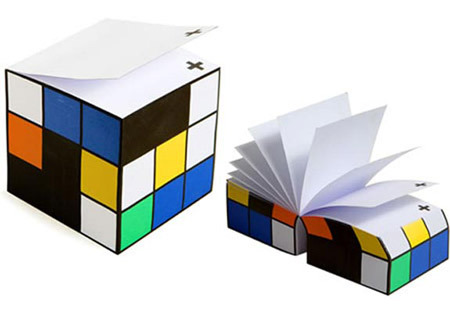 Here is a fun desk accessory for all the Rubik's Cube fans out there, the Colorblock Note Cube. 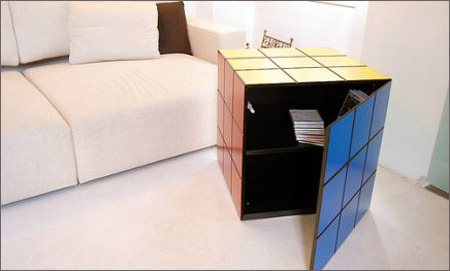 It is inspired by the Rubik's Cube made of MDF painted with original colors. Designed by Umberto Dattola (Italy). The coolest looking salt & pepper mills on the market. Perfect for your dinner table or as a great gift with a retro twist. 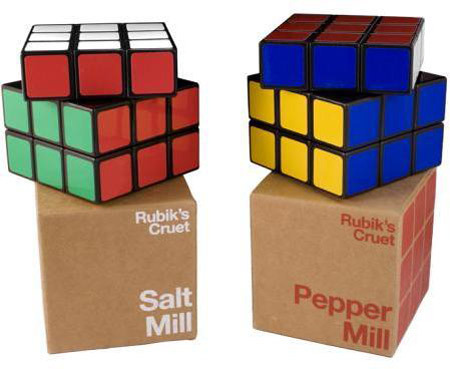 The action of grinding the salt & pepper has the same feel and sound as the classic Rubik's cube puzzle. 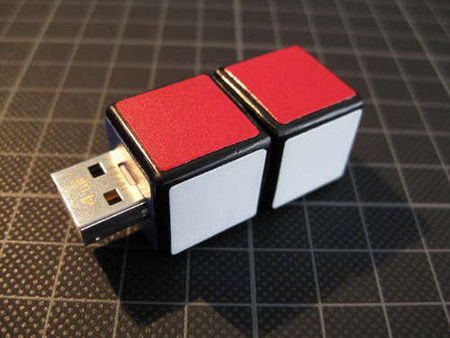 In this Instructables website, you will learn how to make your own Rubik's USB drive, a great DIY for the weekend. 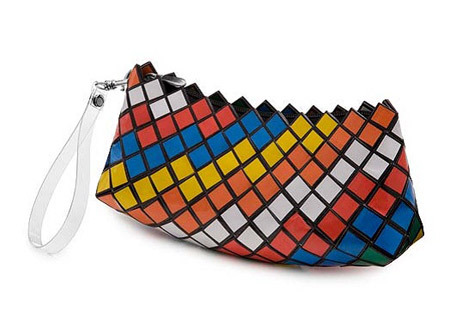 Given up on trying to solve the original Rubik's cube? 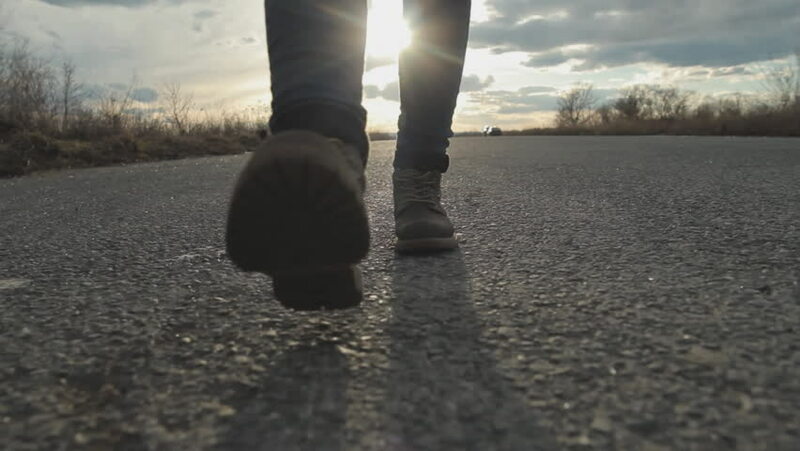 Try this one instead. It only takes a simple twist to jump between the built-in features. 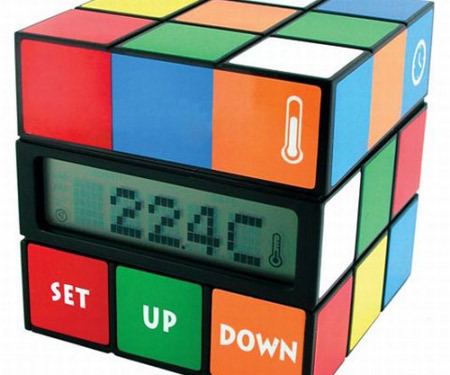 The display on the 3-inch cube will show you the current time, date and room temperature, and there's an alarm function as well to go with that. Made from bright-colored squishy fabric complete with a Chanel-style chain, this would be a perfect dressing-up or going-out piece for those who want to add a little fun and novelty to their look. 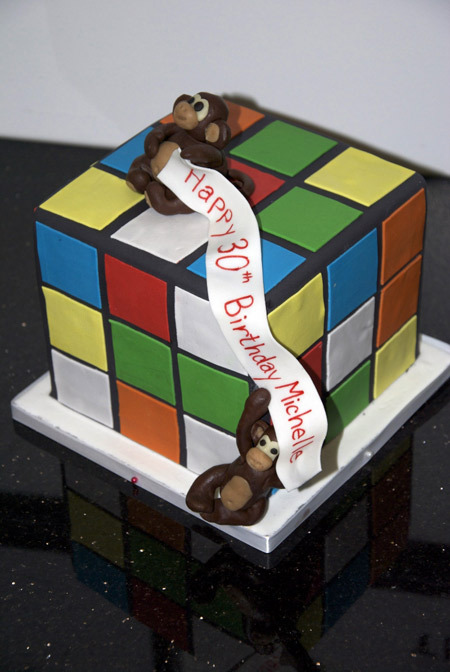 A 6" square 1980's inspired on Rubik's Cube cake with 2 hand sculpted monkeys created by www.fortheloveofcake.ca in Toronto. Ever wondered what a Rubik's Cube would look like in sandwich form? Well, now you know: delicious. 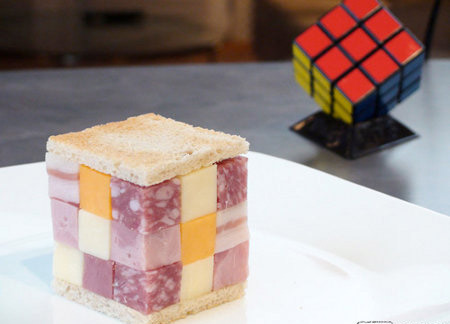 The "Rubix Cubewich" contains "cubes of pastrami, kielbasa, pork fat, salami, and two types of cheddar. How pretty and delicious does this look? 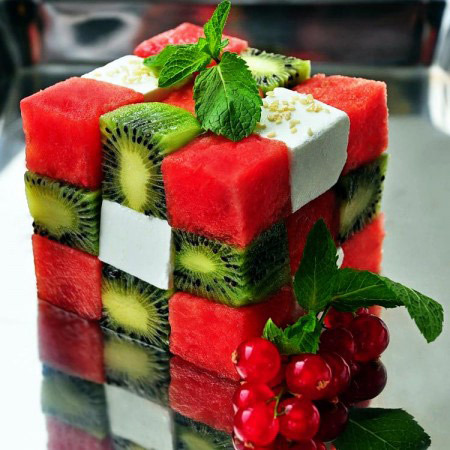 Food doesn't have to be boring, chop some fruits, give them a Rubik's cube shape and have fun! Tired of the normal Rubik's cube challenge? Have the keyboards from a dead computer? 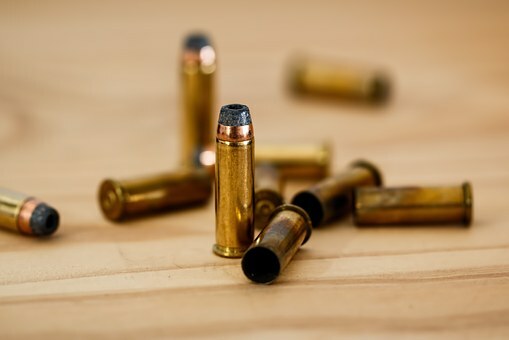 Well, here is the thing for you! 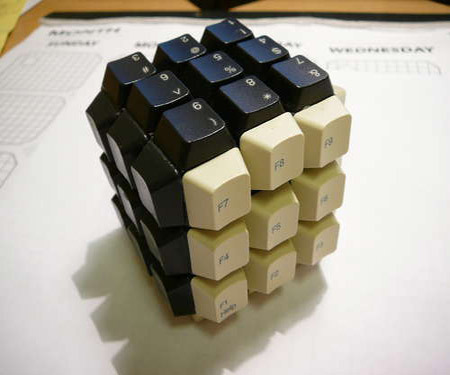 The Keyboard/Sudoku Rubik's cube!